Manchester based DJ and producer Dave Law is one of the new breed of rising DJs who has made his mark on the Manchester Club scene and now starting to make a big impact on the London Dance scene. 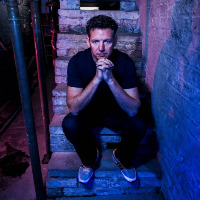 Over the years Dave has played at some of the biggest clubs in the world including the world famous Hacienda where he held a residency for 4 years. Others include Sankeys,Tall Trees, Ampersand, Dry Bar, 1 Central Street and The Mint Lounge in Manchester,The Brickhouse in London. He has also travelled as far as New York (Sapphire Lounge, Izzy bar), Korea (Basement, The Dam, Hollywood), Spain, Marbella (Puro Bar, Colonial Cafe) Tarifa (Banti, Cafe Del Mar) and Murcia (Vocal Booth Weekender). In 2008 Dave flourished as a producer and many long nights spent in the studio yielded serious results. In particular his collaboration with Mark Atherton (11AM) and Deanjay, their tracks were played worldwide and it clearly wont be long before you’re hearing much more from Dave, Mark and Dean with a flurry of remixes and singles in the pipeline. Below is a sample playlists for Dave Law taken from spotify.